In order to entertain fans around the world as they wait patiently for the final season, Game of Thrones producers has decided to create an interesting campaign where 7 locations around the world have been chosen where "Iron Throne" was set up. Every week through social networks, fans tried to guess the country where the throne was set. Many tourists, on the other hand, looked for another way of entertainment before the start of the spectacle and decided to go to King's Landing (Dubrovnik) or Klis (Meeren). 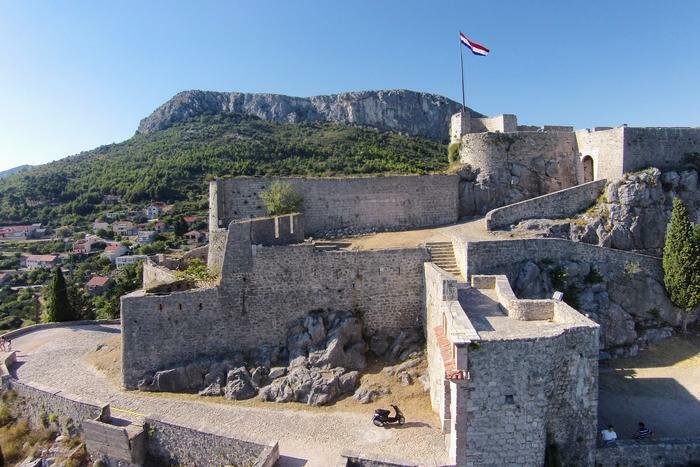 It is well known that Dubrovnik, Klis, Trogir and many other places in Croatia played an important role in the series. 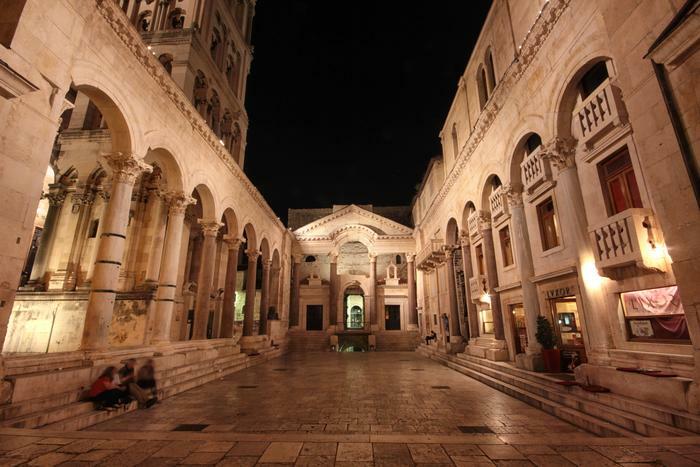 Because of their beauty and preservation, historical sites which are at the same time the main site of the series, are one of the most visited destinations in Croatia. Interestingly, it was not necessary to use a lot of special effects to turn Dubrovnik into King's Landing. 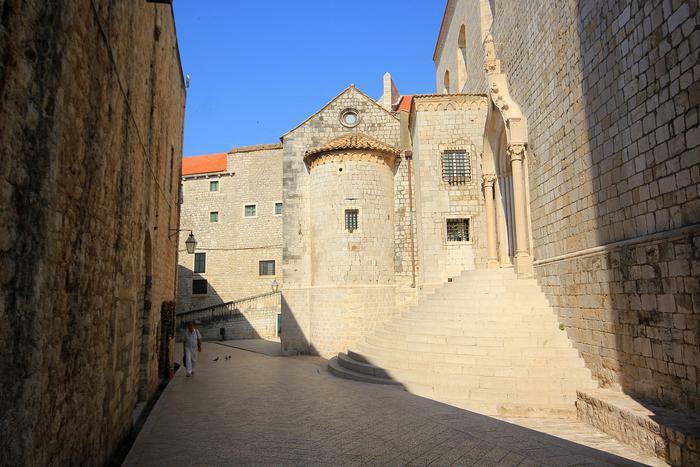 Many of the locations in Croatia will, thanks to the final season of Game of Thrones, become more desirable for many tourists this summer, so we decided to compile a list of locations where one of the most important scenes was played. Do you remember the place where skilled manipulator Lord Varys and Ollen Tyrell negotiate their alliance or where Sansa seeks advice from Lady Ollene about marrying Joffrey? Those scenes were filmed in this place. Arboretum is located in the place next to Dubrovnik, Trsteno. The interesting fact is that this is the only arboretum on the Croatian part of the Adriatic coast and was founded in 1948 on the land of the old Dubrovnik family Gućetić - Gozze from the 15th century. 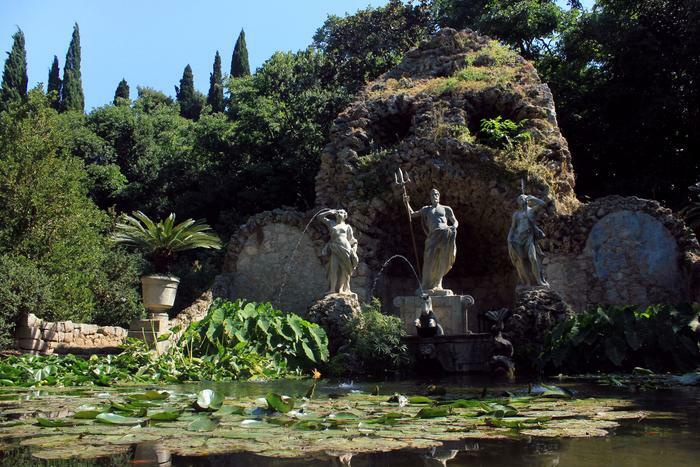 This historic renaissance garden contains a large collection of exotic plants and beautiful Baroque fountain with Neptune. If you find yourself in this place, you should check out a wonderful view of the sea and surrounding islands. Do you remember Blackwater Bay? 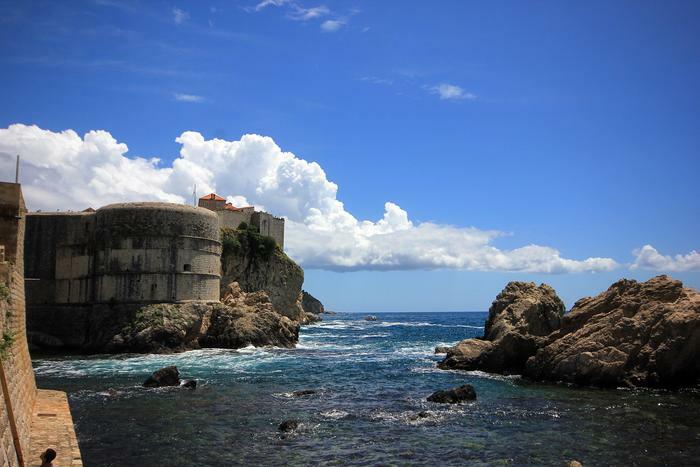 The view of the bay that appears in several seasons in the series can be seen from the bay of Pile outside the Dubrovnik walls. From the famous bay of Pile you can see the famous fortresses Lovrijenac and Bokar. The bay appeared in the second season as the main entrance to King's Landing Harbor. A fortress that also appears several times in the show is Fortress Lovrijenac. 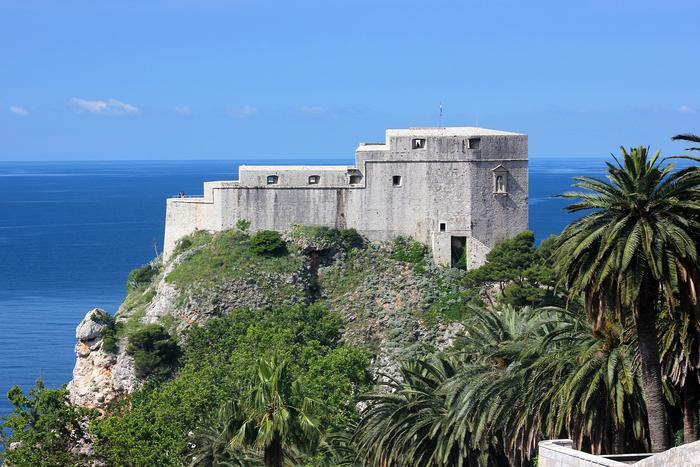 Standing on a steep cliff at 37 meters high, the fortress was built to make Dubrovnik easier to defend from possible sea attacks. It is interesting that this fortress is actually separated from the walled complex. The good thing is that the separation from the wall means less crowd in this place because most people are concentrated on the old walls. That is why sightseeing on fortress Lovrijenac should be much easier. 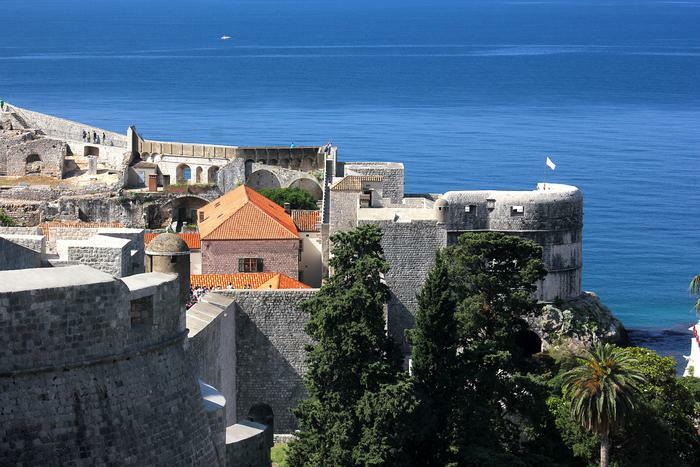 You shouldn't miss the magnificent view of the old center of Dubrovnik from this old fortress. You probably did not pay attention to the panorama during Lord Vary and Tyrion's conversation about the battle strategy against Stannis Baratheon, but a wonderful panoramic view in this scene was filmed from the Fort Bokar. It is situated on the opposite side of the fortress Lovrijenac and it was built in the 15th century, also for defensive purposes. The construction lasted for more than a century and was created by the designs of one of the finest builders from Florence at that time - Michelozzo di Bartolomeo. It is one of the best preserved medieval fortification systems, and it is open all year round for visitors. Even the people who don't watch the Game of Thrones are already familiar with the famous „Walk of shame” scene where Cersei, one of the best negatives TV has ever seen, was stripped down and paraded through the streets of King's Landing where she was jeered and spat at. These scenes were shot in this street. Located in the eastern part of the old town along the walls it leads to the famous monastery and the church of St. Dominica, one of the most famous Gothic monuments on the eastern coast of the Adriatic, founded by Dominicans in the 13th century. In addition to this architectural jewel, it is recommended that you also visit the church of St. Sebastian, located right next to the monastery of St. Dominica. 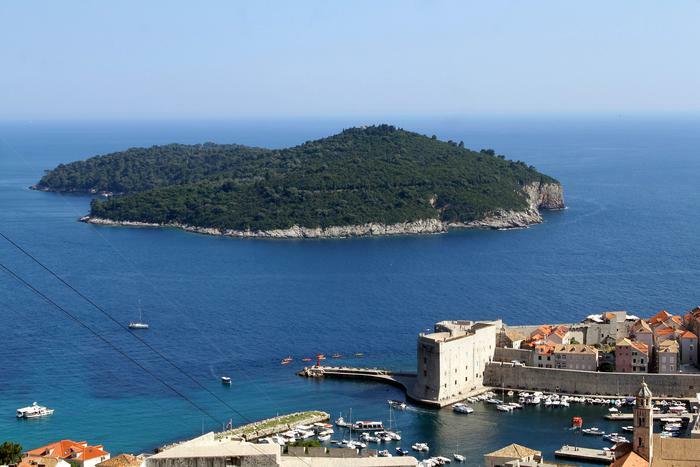 According to legend this small islet, located a few hundred meters from the coast of Dubrovnik, was the shelter for the English king Richard Lionheart after the storms damaged his fleet after returning from the Crusade wars. The beautiful island associated with this legend is the perfect location for displaying the city of Qarth which is governed by thirteen „pure blood” noblemen. Lokrum is a natural reserve that has many sights such as the summer residence of the Maximilian Habsburg, Benedictine monastery as well as the so-called "Dead Sea", a small lake that is connected to the sea and which is a popular resort for many tourists. From Dubrovnik, we climb north to the area of Split. In the Klis municipality lies the medieval fortress you saw in the series as the Meeren city which was won by Daenerys Targaryen. The fortress Klis had a defensive function, and the greatest importance was at the time of the defense against the Ottoman Empire. This is the place where the Tatars suffered the first defeat after a successful break in Europe. Today, Klis is a well-known tourist center which is also home to many cultural events. "The Greatest City that ever was or will be", or in other words the port of Qarth is located in Trogir, a town whose sights are listed on the UNESCO World Heritage list. 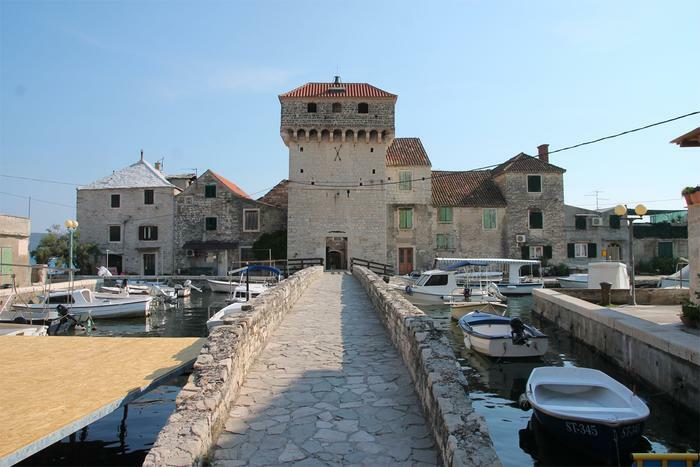 Qarth is imagined as a magnificent trading city ruled by aristocrats, and Trogir's sights served as an ideal scene. If you find yourself in Trogir you must visit places such as the Kamerlengo tower, the cathedral of St. Lovre, the Rector's Palace and many others. 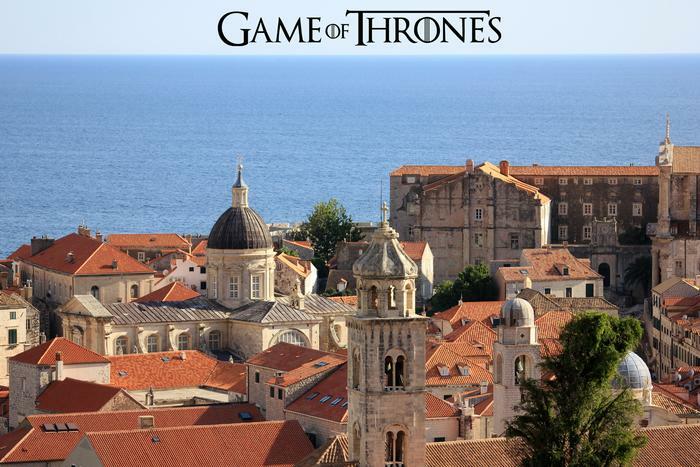 Scenes featuring Arya Star appearing in the Braavos City are filmed in Kaštel Gomilica. This place of special appearance is known for its many interesting historic sights, such as medieval castles, most notably the one built by the Benedictine nuns in order to protect them from possible attacks. One of the best-preserved buildings from the time of the Roman Empire in Game of Thrones served as a place where the dragons were kept, and there were also filmed scenes of slave rebellion. Diocletian's Palace, thanks to its unique architecture, was the perfect choice for recording this series, especially since it didn't take to much efforts for making new special effects. Scenes were filmed in the basement of the palace, Papalić's street and in Peristil. These locations are available for tourists throughout the whole year.